Look at that gorgeous view! A couple of months from now we’re hopping on a series of planes and landing back on this beautiful island prefecture of Okinawa, Japan. I’m ready for time with family, visiting our favorite food spots, snorkeling, and some of the top beaches in the world! Thinking about home has made me homesick. To alleviate some of the homesickness, I’ve been making all kinds of Japanese/Okinawan foods. One of these is Taco Rice. 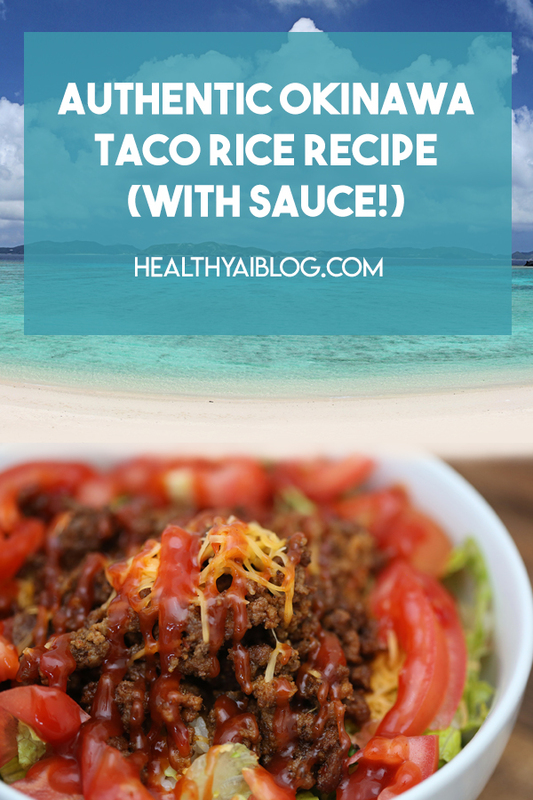 If you love tacos and rice, you’ll probably love Taco Rice. I know what you’re thinking. Japanese cooking doesn’t usually make you think about tacos. But the story is that after WWII, some Americans wanted to eat tacos and asked a local chef to make something that was as close as they could get. And taco rice was born (because it’s hard to find tortilla making ingredients in Japan)! It’s one of those foods that’s easy to make and totally soul-warming. The sauce on top is sweet, tangy, and spicy. 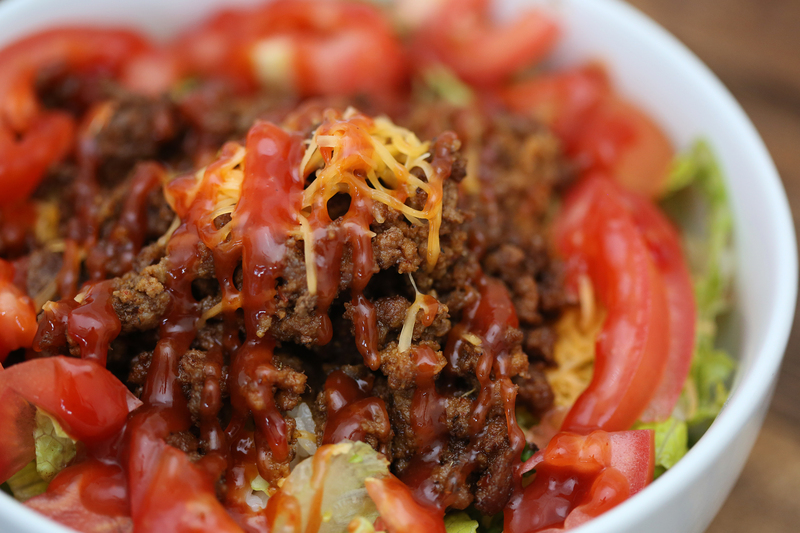 The ground beef portion can be seasoned with taco mix, if you are wanting to go the quick route. Also, this can be made casserole style. Mix ketchup & chili sauce together. Add Siracha to taste (I add 1-2 tablespoons). If you like yours a little sweeter, add more sweet chili sauce. Brown ground beef in skillet. Drain fat and return beef to skillet. Add all spice ingredients and stir until thoroughly mixed. Put rice (short-grained Japanese or Californian rice if you can!) on a plate or in a bowl. Then add the beef. Usual toppings are lettuce, tomatoes, and cheese. Lastly, add your Taco Rice Sauce. Bon appetit! Are there any recipes that you would like to see? Please comment down below! Oh my goodness! This looks delicious! I am pinning this so I can make it for dinner soon! There are so few things the whole family will eat without fighting. Taco Tuesday is my saving meal because it’s something we can all agree on. This rice sauce is going to be such a hit with everyone. I think my husband would love something like this. We’re all about taco anything in this house! This looks sooooo good!! Have you ever tried it with ground turkey? I’m thinking I may try it that way because I have to be careful with the beef.